There are more and more arguments developing not just online, but around major publications all about whether or not college is actually worth it. While for years I've been one of the people arguing that it's a loaded question, and a more honest answer is "not always" or "rarely compared to a good life plan," when considering the many different options that are out there and available to 18 year olds. Now that this question has become much more mainstream and there are plenty of arugments against a wide range of degrees and the massive cost of a conventional 4 year degree, I want to jump into a topic that is related. Getting a degree is a good step, but even more importantly you have four years of access to professors, reserach resources, support staff, and just plain out four years of youth to pick up these skills and prepare for the real world. There's no question that these often overlooked skills can open endless doors for young students in every part of life, and with four years there's no reason not to pick up on these skills over time. While there are several different ways to build a website or blog, WordPress is one of the most popular and widely used. Whether you're starting a blog on a passion of yours that becomes a full time income, creating a company and getting online attention from scratch, building AdSense and Amazon based sites, or just building professional looking websites for others, you can't go wrong with rock solid WordPress skills. 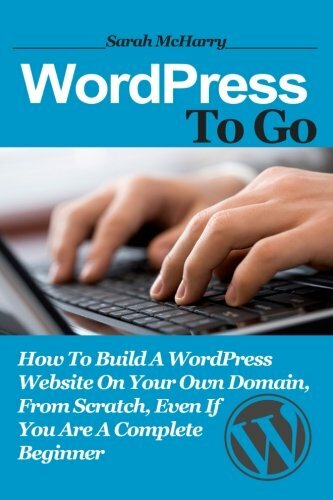 The more you can do online with building websites, the more doors you have open...and you might be surprised to see how many freelancing jobs you can pick up when people know you have the WP skills. Many people see a beginning sales job as a temporary thing before moving on, but the ability to sell is actually the most important skill anyone can have in life. You sell yourself in job interviews, when dating, when making an impression in a group, when negotiating prices, or when outright selling products. A great salesman can always make a great living. The ability to understand how selling works then goes into every other part of life, and affects you in more ways than you probably care to count. Learn how to sell well - you'll never be hurt by this. This is one I became interested in because of the book "What Every Body Is Saying." It turns out that there are a lot of assumed truths about lying that are outright wrong. This book help teach how you understand the base for most people and then further understand when someone breaks from the norm and what that means. 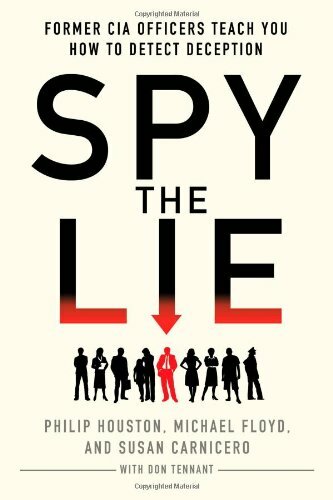 Being able to detect lies can save you a lot of heartbreak, money, save you from bad decisions, and help you truly know what's always going on around you - and it's a skill anyone can learn with time and practice. This one is harder to explain, but being able to learn to build the habit of self-improvement is absolutely critical. This is a common thread you hear. About evey millionaire talks about always taking time to improve themselves and that self-improvement comes first before the rest does. Whether it's a process of Kaizen to constantly pick up small skills that become big, developing physical, mental, and emotional strength or constantly working to make the most of each day, learn to have the constant thirst and desire of improving yourself. Communication skills are always going to be important, and great written skills are in higher and higher demand while becoming harder to find. Even many articles are coming out with how English is seen as a fantastic complimentary major to business, pre-law, accounting, and other similar majors because English majors will have excellent communications skills and they will also be taught how to analyze literature, analyze writing, think independently, and think creatively. These skills will always make you look better and allow you the ability to present yourself in the best light. For those of us who are introverts, or who prefer working alone and are intelligent and motivated, the idea of networking can be annoying, frustrating, or down right frightening. But you know what, connections really do matter! Unfortunately there is a ton of truth to the "It's not what you know, it's who you know," line of thinking. If you really want to get the most out of business, career, and life, you unfortunately need to know how to network. Learn it in college when you have so many people looking to network and socialize. Now you can learn other ways of building your own sites like Joomla, but WordPress is by far and away the most popular and knowing these skills inside and out won't only help you to create your own blogs and niche sites, but also have the knowledge and ability to design these sites for other people and businesses. You will never be hurt by knowing WordPress skills. Okay so maybe it takes more than this to become James Bond or Michael Westen, but learning body language and learning inside and out how to tell when someone's lying and learning to get a sense of what type of lie it might be...these are incredible skills that can help with business, making deals, relationships, and simply knowing who to trust and who not to trust. Also helps you see trouble coming from a mile away as opposed to right before the headlights hit. 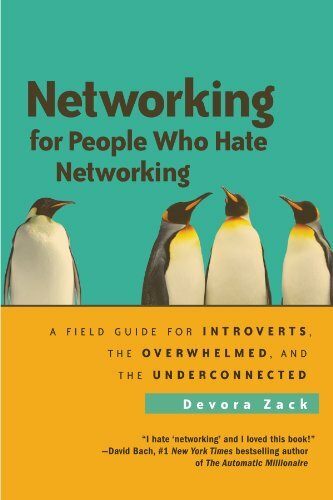 This book isn't just about normal networking, but it also focuses on many people who desperately need to learn how to network and make new connections to make it in the real world but just don't have the normal mindset, comfort, or confidence to pull it off. Networking is a critical skill - and college is where that needs to start. Whether a fraternity, a skills club, or working with a group of people on a publication or project, these connections can make a huge difference down the road throughout life.